This masterly text is a classic in its field and will be a reliable companion throughout the course of your studies and your career as a social work practitioner. 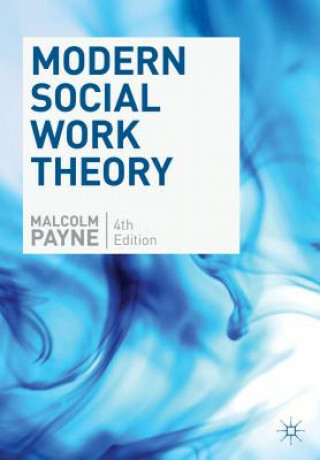 In this substantially reworked and updated fourth edition of his best-selling text, Malcolm Payne presents clear and concise evaluations of the pros and cons of major theories that inform social work practice, and comparisons between them. Modern Social Work Theory is now more accessible and comprehensive than ever, offering: * the most complete coverage of social work theory, from classic perspectives to the very latest ideas, including a new chapter dedicated to strengths, narrative and solutions approaches * a host of brand new case examples showing how theories can be applied to everyday practice * new analysis of the ethical dimensions of different social work theories and what common values they share * 'Pause and Reflect' questions to encourage you to draw on your own experience and develop your thinking * updated 'Example text' sections which summarise the most current thinking and help bridge the gap between introductions to each theory and more specialist writing.